There will be one more participant during Russian Art Week this summer in London. Maxim Boxer, auction-based collector, art dealer, and gallery owner is slated to hold his first auction. Although Maxim Boxer’s name is almost unknown to the general public, it is perfectly familiar to anyone who deals on the antiques market. He began selling art when the Russian market was still in its infancy and was one of the founders of the legendary Moscow “Alpha-Art” auction in 1989. In 2001, Maxim Boxer founded Ravenscourt Galleries. His name is well respected among art buyers, as he was born into a family of collectors who collected Russian and French paintings and graphic art of the late 19th and early 20th centuries. The first pre-auction exhibition will be held at the London Erarta gallery, which promotes Russian contemporary art worldwide, and is just next door to Christie’s and Sotheby’s. During these days the first auctions will be held, although they will be small in nature, comprising only about 40 lots. The new auction house has some very stiff competition. The last decade was dominated by only four permanent London auction members. The first are the major international auction houses, Sotheby’s and Christie’s. Then MacDougall’s was founded by Catherine and William MacDougall in 2004 for the sole purpose of dealing Russian art; and there is the large, old building where Bonhams is housed, which contemporaneously chose to engage in dealing Russian art at individual auctions. Despite the presence of Russian art dealers in London, Russian contemporary art has only been seriously dealt by Sotheby’s and MacDougall’s. The latter focuses on non-conformism and contemporary art, but this appears at its auctions rather randomly. Since the second half of the 20th century, Sotheby’s has been more active in the market: in 2007 and 2008, the auction house held pre-auction exhibitions in Moscow and then conducted specialised auctions in London. The economic crisis of 2008 put an end to this venture, but last year the auction house returned to the theme in another embodiment: they held their quite successful “Modern East” auctions, which mainly showcased the work of Ilya Kabakov. Art at auction: What is in demand in the Russian market? 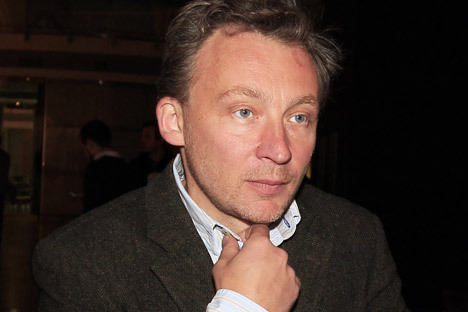 The major bidding records for Russian contemporary art occurred at the London-based Phillips auction house, when it was headed by Simon de Pury. Phillips did not push the dates of their Russian week auctions as a matter of principle, and they were persistent in mixing Russian and Western artists. Nevertheless, it was here that Russian buyers paid £2.9 million for the conceptual art of Ilya Kabakov and £1 million for the work of Erik Bulatov in 2008. Phillips also traded within the contemporary art market of emerging BRIC economies in 2010-2011, offering a steady custom to Russian contemporary artists; but now trade with BRIC has deteriorated and Phillips only makes offers to a few Russian artists for their work. So, oddly enough, Maxim Boxer’s auction has a good chance to fill the vacant niche between competitors on the market with inexpensive, attractive, even somewhat interior modern art. In addition, they are placing an emphasis on their “know-how” auctions, which is a curator’s auction that is united by one theme – this time around the theme of “Russian Space Art”. If all goes well, a second auction will be held in the autumn on the theme of “Metaphysics in Russian Art”. “I want to show the London audience something it has never seen before – the characteristics of contemporary Russian art," says Maxim Boxer. "The auctions that already exist in London serve other purposes and therefore they are not able to pay much attention to affordable and not overly representative contemporary art, which has not yet made a name for itself in the global context. Nor do they offer items like those in our collection, which comprises interior art that is affordable and which in this case we still included as an element of the overall concept,” he adds.